Here you will find a number of Tips which are regularly added to and updated. Look out for the weekly email, the section on the board in the clubhouse hallway or come here to review some that you may have missed. 1. Try to avoid going into the bunkers in the first place. 2. 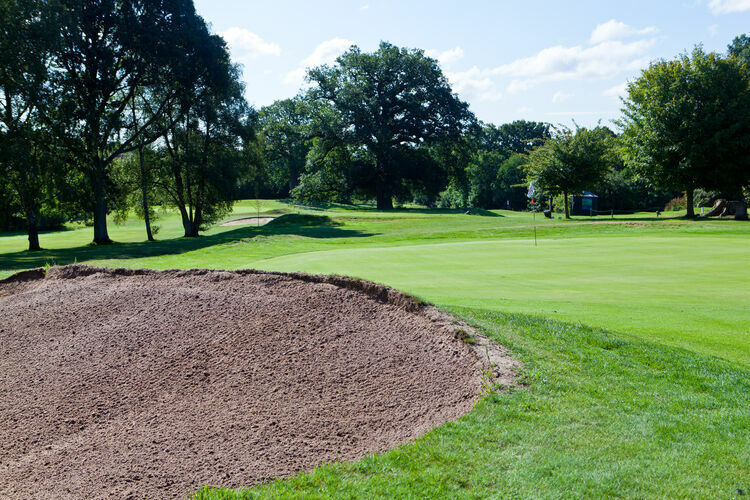 If you frequently go into bunkers, you may wish to book a lesson on bunker play with Allan. 3. You must not ground your club in the bunker or hit the sand on a practice swing (penalty of two strokes). 4. You may move obstructions such as the rake but unless there is a local rule you may not move loose impediments (natural objects such as stones, leaves etc.). 5. On leaving the bunker, rake through it to get rid of shoe prints etc. 6. Leave the rake in the bunker not on the grass surround. 1. Having a recognised handicap will allow you to enter certain competitions and also measure your progress. 2. Lifestyle and Offpeak members are required to pay a small administration fee of £20 (this is already included in the 7 day and 5 day fees). 3. Submit any combination of 18 hole or 9 hole cards as long as there are 54 holes in total. 4. Make sure your card is completed properly, marked and signed by someone with a recognised handicap. Write alongside Competition "FOR HANDICAP PURPOSES" and post your card in the slot behind the touch screen in the entrance hall. 5. Your card can be marked during any round (e.g. a rollup or by playing alongside anyone playing in any of the competitions). 6. Once you have gained a handicap, you will need to play in 3 qualifying competitions (e.g. Friday Thrash) before you can enter a Cup competition. 7. Handicaps are calculated to one decimal point whereas strokes received is rounded up or down to the nearest whole number. 8. Each subsequent scorecard submitted in any qualifying event may result in your handicap being adjusted. Therefore you should always check the Intelligent Golf system or noticeboard before playing to get your up-todate handicap. I'd encourage you to log on to the IG system regularly and familiarise yourself with it. 1. If your ball is lost or goes out of bounds, you must play a replacement ball (with a penalty of one stroke) from the place where you hit the original ball. You cannot simply drop another ball at the point you lost it ! If it was lost from a tee shot you may place a new ball on the tee. From anywhere else on the course you must drop the new ball from shoulder height to rest no closer to the hole and within one club length of where the original ball was hit. 2. 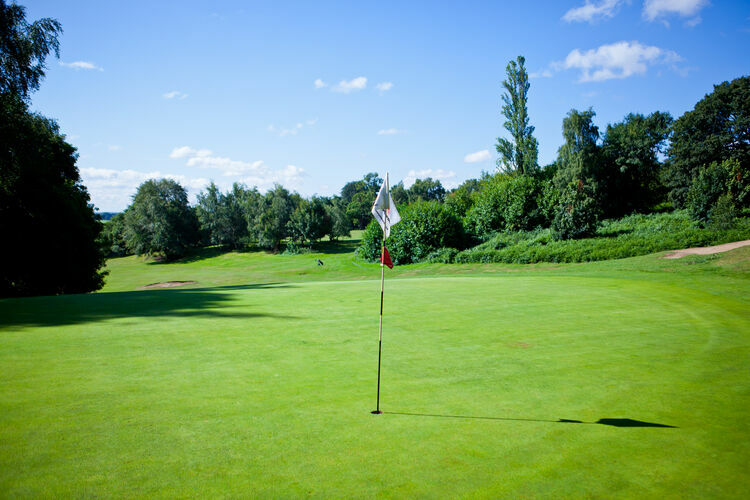 However, to avoid holding up everyone on the course, rather than walking back to where you hit the lost ball, it is recommended that you should instead play a provisional ball as follows. 3. If you feel there is a risk that your ball may be lost or out of bounds, then play a provisional ball before moving on. You must inform your opponent(s) that you are playing a provisional ball (and specifically use the word 'provisional') and also specify what type of ball it is in order to distinguish it from your first ball. E.g. "I'm playing a provisional ball which is a Srixon 2 with blue dots." 4. 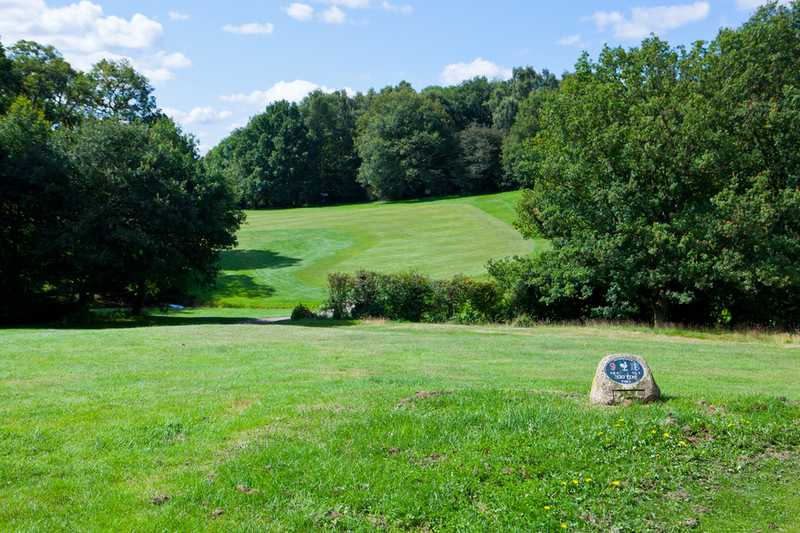 Having played your provisional ball (with a penalty of one stroke), if you then find your original ball and it is In Bounds, you must carry on playing the original ball (without penalty) and pick up your provisional ball. If you can't find your original ball, you continue playing with your provisional ball. There is no limit on the number of provisional balls you can play. 5. There is a time limit of 5 minutes to search for a ball. If the course is busy, you may wish to give up the search earlier or allow the game behind to play through. If you are simply having a practice round and are not in a competition then simply drop another ball and carry on practicing but your scorecard becomes null and void and cannot be submitted. Notes: The exception to the above is if your ball is lost in a water hazard - then a new ball may be dropped (with a penalty of one stroke) behind the hazard keeping in line with where the ball entered the hazard and the flag. 1. The general principle is that the "forward game" has priority in order to keep the course flowing freely. 2. Those waiting to tee off the 1st tee should alternate with those waiting to tee off the 10th tee. 3. The 2nd and 3rd holes are cross-over holes - allow those on the 3rd tee to go first when approaching the 2nd green. 4. On the 8th hole, allow those on the 9th tee to tee off rather than crossing or playing in front of them at the approach to the 8th green. 5. The 8th hole is a "call over" hole. Once you are on the 8th green and if you have not yet started putting, you should keep the flag in and "call over" those behind you waiting on the 8th tee. 6. When walking up or playing the 9th fairway be careful of those teeing off the 8th tee and allow them to tee off first unless they wave you on. 7. If you are not keeping up with the game ahead and the game behind you is quicker, you should allow them to play through your game. 8. Those playing in a competition should be given priority. 9. If in any doubt and for safety reasons, always make sure you have made your intentions clear to other players - e.g. if waving someone to play through. This is especially important when you are on the wrong fairway ! 10. Leave your bags and trolleys where they will not be in the way of those playing behind you. A commonly used term which indicates that players should play when they are ready to do so, rather than adhering strictly to the “farthest from the hole plays first” rule. It is not appropriate in match play but can be used in stroke play and helps to speed up the pace of play around the course. It is not a race but by adopting the above it should help get round more quickly without spoiling our enjoyment of the game. Where appropriate, consider allowing quicker groups of players through. If you do this correctly, the surface of the putting green will recover quickly. You can buy a Dorking Golf Club pitch mark repair tool behind the bar which also incorporates a DGC logo ball marker. 1. Take your pitch mark repair tool (or failing that, a tee) and insert the prongs into the turf at the rim of the depression, rather than in the depression itself. 2. Using a gentle, twisting motion, gently push the earth at the edge of the mark inwards towards the centre, instead of lifting the earth upwards. 3. Flatten any excess material by gently tapping the surface using the sole of your putter or your foot. 4. Also take a look at one of the many video clips available on YouTube. (a) if it's not too wet !! you may play the ball as it lies in the hazard (without penalty). Your club must not touch the ground or the water until the downswing of your stroke (penalty two strokes). 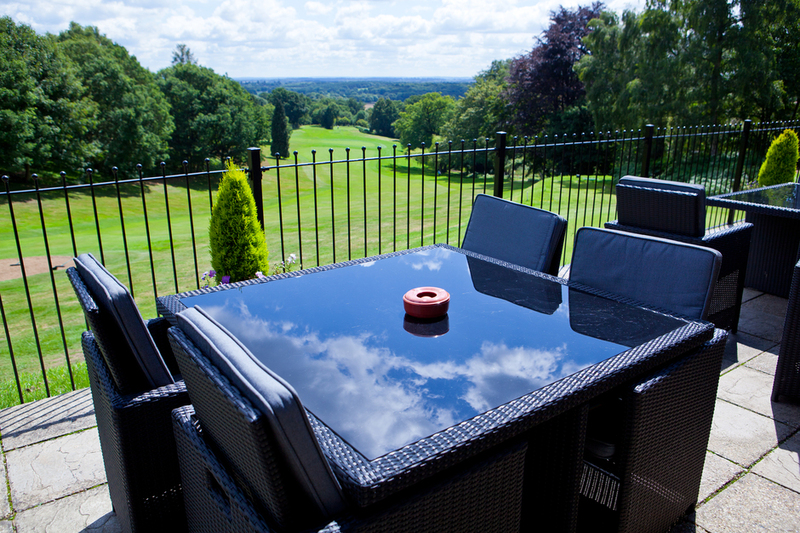 (b) play a ball from where your last shot was played (penalty one stroke). (c) drop a ball any distance behind the water hazard keeping in line with where the ball crossed the edge of the hazard and the hole (penalty one stroke). 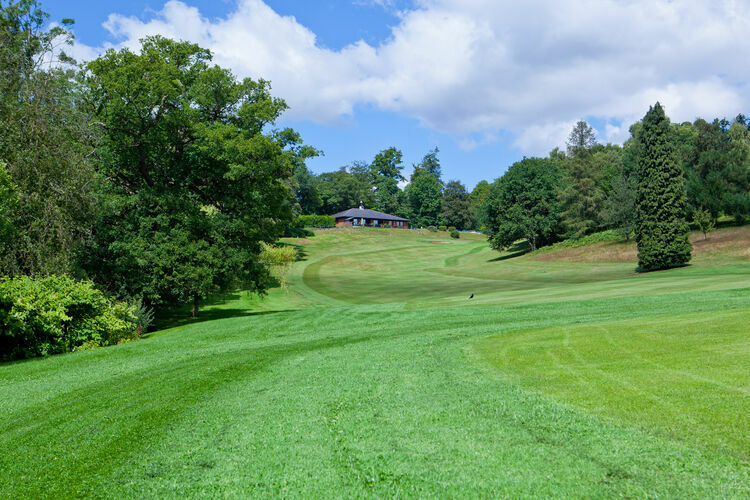 - drop a ball within two club lengths either side of the hazard, no nearer the hole and in line with where the ball crossed the edge of the hazard (penalty one stroke). 3. If no-one on the course sees the ball go into the hazard and you cannot find it then you should treat it as a "lost ball". The rule states that it must be known or virtually certain that the ball has come to rest in the hazard. Your only option is to play a ball from where your last shot was played (penalty one stroke).